Tiffany Crawford started as a photography blogger, in 2012, to showcase her portfolio and the work of some of her favorite photographers. However, the blog quickly changed focus after receiving several inquiries on the photo shoots she styled and her own personal wardrobe. Hence, Lace N Leopard was born! Named after her favorite fabric and print, this blog chronicles Tiffany’s daily style, life and ventures as a curvy California girl. She continues to encourage and inspire others through her body positive and confidence movements #SameFitDoneThick and #ServingChocolate --- and with one outfit at a time. 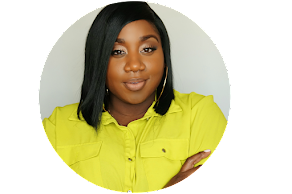 In addition to her blog, Tiffany is CEO of non-profit organization, Set Free w/Divine Intervention, and has also been featured on: Good Day New York, Essence.com, Lucky.com, Examiner.com, Fashion Bomb Daily, Bustle.com and Plus Model Magazine.